PITTSBURGH, Pennsylvania, September 16, 2010 (ENS) – Trial has begun in a lawsuit filed by New Jersey and four other states to force coal-fired power plants hundreds of miles away in western Pennsylvania to clean up emissions of pollutants that degrade air quality in the downwind plaintiff states. New Jersey is joined by Connecticut, Maryland, New York and Pennsylvania in seeking to require Allegheny Energy Inc. and its subsidiaries to install pollution control equipment, as required by the federal Clean Air Act and Pennsylvania law, to reduce emissions of sulfur dioxide and nitrogen oxide at three power plants. Prevailing wind carries pollutants from these plants to the east, causing ozone smog pollution and acid rain, the five plaintiff states allege. The trial is taking place in U.S. District Court for Western Pennsylvania in Pittsburgh before Chief Judge Gary Lancaster. The three power plants at issue in the litigation – the Armstrong, Hatfield’s Ferry and Mitchell plants – are older, coal-fired generation units. 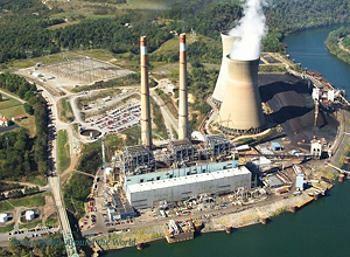 The lawsuit claims that Allegheny undertook many construction projects over the years to extend the operational lifespan of these plants without complying with federal standards that require implementation of best available control technology standards to reduce sulfur dioxide and nitrogen oxide emissions when new sources of power are constructed. An analysis of emissions prepared for the lawsuit shows that the three plants emit nearly 200,000 tons of sulfur dioxide and nitrogen oxide every year. Nitrogen oxide, in the presence of sunlight, reacts with other chemicals to form ozone smog, which contributes to health problems including chest pain, shortness of breath, coughing, and increased vulnerability to respiratory conditions such as asthma. Both pollutants lead to the creation of fine particles that can cause respiratory distress, cardiovascular disease and premature death in people. Nitrogen oxide and sulfur dioxide emissions contribute to the formation of acid rain, which inhibits the ability of fish to survive in ponds and lakes. Both pollutants also contribute to excessive nutrient loading in coastal waters, affecting diversity of fish life. The plaintiff states are seeking an injunction to require Allegheny to reduce its harmful emissions by installing state-of-the-art pollution controls at each of the three plants. The states are also seeking civil monetary penalties and an order for Allegheny to “take appropriate actions” for causing harm to public health and the environment. In addition, closer to New Jersey, Governor Chris Christie and Commissioner Martin have called on the U.S. Environmental Protection Agency to expedite action to reduce pollutants emitted by the Portland Generating Station, a coal-fired power plant operated by RRI Energy in Northampton County, Pennsylvania, directly across the Delaware River from Knowlton, New Jersey.